Admit 1 MBA - Part-Time MBA Program: Are You Too Young? Part-Time MBA Program: Are You Too Young? 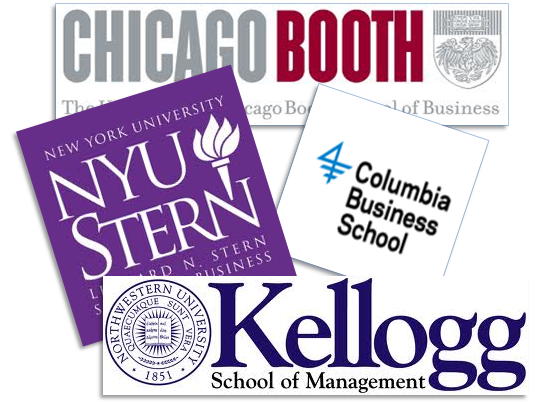 Home/Chicago Booth, Chicago Evening-MBA, Chicago Part-time program, evening MBA, NYU Langone, part-time MBA program, weekend MBA/Part-Time MBA Program: Are You Too Young? If you have less than two years of full-time employment and are thinking about applying to selective part-time MBA programs, you want to do significant research before getting started on your essays. One of the biggest benefits of an MBA program is the experience that other students bring to the classroom, as well as the network of successful individuals they comprise. Would you like to spend over $100,000 to earn an MBA and be surrounded by 18- or 19-year old students who have no clue what it’s like in the work force? Probably not. The admissions committees at top MBA programs, such as Columbia, NYU, Kellogg, Berkeley and Booth, want to make sure that each student admitted into their prestigious MBA program has something to contribute to the class and to the network. So, if the admissions committee find you to be too junior or just too young, they will not look favorably upon your profile. There are some exceptions. Top part-time MBA program are willing to bend their rules a little bit, if they see something exceptional – from a 770 GMAT score to an internship at the White House or the International Monetary Fund. But even for the rest of us, there is still hope. Some schools, including Chicago Booth’s “Chicago Business Fellows” program, offer admissions to younger candidates as long as they are strongly supported by their employers . For other schools, you should check their class profile, meet with current students and admissions officers, and figure out their attitude towards early-career candidates. Further, while getting into most part-time MBA programs is less competitive than top-10 full-time programs, it is still not a simple matter. Working on your part-time MBA application is no trivial task – you will need more than a week to compile a strong set of essays. Want to know if you have enough experience to get into a part-time MBA program? Email yael@admit1mba.comto talk about your profile. Part-Time MBA Programs: How many engineers can you fit in a class room?